This time, Nissan got me. Got in the ute to head back into town just on dusk. Turned on the headlights. And noted that the gauge lights were out. That’s... inconvenient. Headed to the internet to see if it was a common thing for a Nissan Patrol. Why yes...it is. The gauge lights are included in the tail and park lights circuit. The failure to function is clearly intended to show you that your tail lights are out. This feature is not included or described in the vehicle operating manual. Turned out the fuse had blown and I very likely had a dead short in the circuit. Given I’d recently fitted a bullbar and this included new parking lights on the same circuit...this was the likely area of fault. So I unplugged the front lights, both the factory and bullbar lights. Unplugged the rear lights. Dead short. Had a little tantrum. Then plugged everything back in. Started checking wiring under the tray and body of the ute...easy enough when it’s a tipper body. No burnt bits. No suggestions of any hot smokin’ action. There is a component of the tail light circuit that goes to the radio harness. When all power is out, this wire is the only one in the connector block that has continuity with the chassis. In other words, it appears earthed. But it isn’t. Until you turn the headlights on. That ‘earth’ wire is actually used to signal to a compatible head unit that the headlights are on so it must be dark and the head unit can dim its lights accordingly. While the headlight switch is off...the wire is earthed. But when it’s on...voltage. So I’d used it to create a dead short. And blown a few 10 amp fuses as a result. It’s all very logical in a Japanese kind of way but present it with an enthusiastic but ignorant Australian and logic be damned. Even my vehicularly ambivalent Beloved thought Nissan Logic was a bit dumb...so at least it’s not just me. 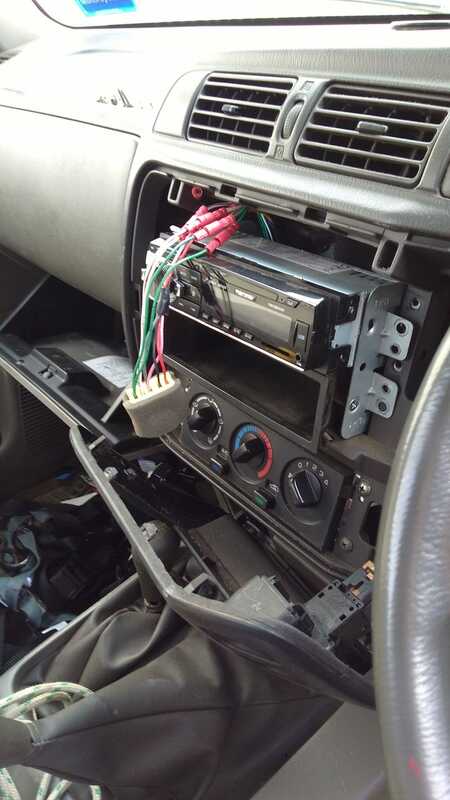 The (rhetorical) mystery now is...how was the previous cassette deck actually earthed? Meanwhile, the new media player now has its own dedicated earth connection and the balance between the Patrol, working tail lights and sweet tunes has been restored.